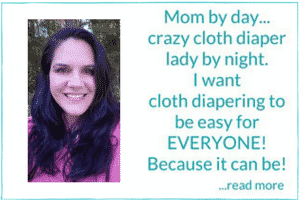 Talk to any cloth diapering mom and they all agree that the biggest obstacle is how to cloth diaper at night and not wake up in a puddle of pee. Yes, it’s going to take some trial and error ? But it doesn’t mean you have to resort to disposable diapers. Disposable diapers leak, bulge, excrete crystals, transfer dioxins and don’t allow the skin to breathe. They are not the “easy answer”. There is not one nighttime system that works for all babies but there are some shining stars. pocket diapers stuffed with a prefold wrapped around a doubler with my second child and had excellent success. Wool: The brightest star in the sky when it comes to having dry sheets is WOOL. Wool is very breathable, comfortable, and can absorb 30x it’s weight in moisture before feeling damp to the touch. Wool keeps you warm in the winter and cool in the summer. I live in the hot state of Texas and wool worked wonderfully last summer. Wool is also anti-bacterial because of the properties of lanolin. Lanolin contains acidic fatty acids that react with the basic urea to create salt and water. Urea is a component of urine that would normally cause odors. Wool will need to be washed and re-lanolized every couple of weeks. It is a great idea to put a wool soaker or wool longies over any nighttime system you choose for that extra protection. Getting enough sleep at night is enough to worry about. Don’t add to it by also worrying about wet sheets. You may have to experiment with a couple of different diapers before you find what works for your baby, but it will be well worth the effort! Autumn – I’ve been CD’ing for 11 mos and am starting to have some nighttime leaking issues. It’s happened so frequently that my husband and I have started putting her in sposies for overnights. YUCK! I generally use either HH or BG one-size dipes, both of which I stuff with a tri-folded hemp pre-fold. When she leaks, the inserts are usually wet but not drenched. I’ve tried up-sizing the dipes and am still having some leaks. I’m thinking this might be a fit issues but can’t quite put my finger on it. Any suggestions? Mandy, it sounds like she is peeing too fast for just a hemp insert. Hemp is a slow absorber so it is usually paired with a microfiber insert. Lay the microfiber on top. It absorbs fast and as it fills up it will pass on to the hemp. I like the bamboo bbh fitteds. I have not found a more consistent nighttime diaper than the Baby Beehind. 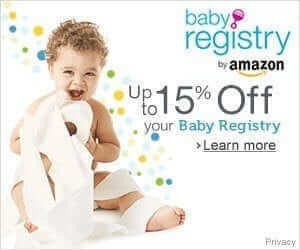 I have not tried the Drybees fleece diapers or any Drybees for that matter. Drybees have a suedecloth inner and my youngest child has a severe sensitivity to that. I would suggest also giving the Happy Hempy a try. I have heard very positive things about them and their nighttime performance. Prefolds and covers are a great idea for the newborn stage. Prefolds have so many uses, one being they make great pocket stuffers. A great place to buy prefolds is the ebay store granitesmith. I recommend the DSQ newborn / infant CLOTH DIAPER 4x8x4 INDIAN COTTON especially if you plan on trifolding them and laying them in a cover. As far as covers go, I had the best results with newborn prowraps. Bummis Super Whisper Wrap (bsww) is another popular cover. Thirsties covers are really nice as well w/ double gussets and great colors. You can usually find used covers (or any diaper) fairly easy on diapering communities like diaperswappers.